This beautiful rustic cat tree comes in your choice of carpet colors. 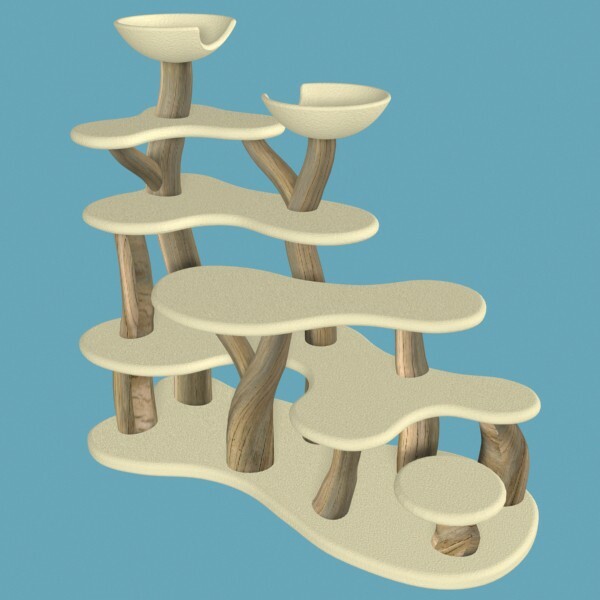 Since these cat trees are made with real driftwood, no two trees are exactly alike. Also available with other materials, instead of driftwood. Ships fully assembled in most cases.